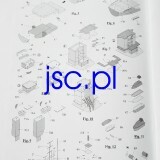 We are very pleased to announce that new JSC model is available at http://store.jsc.pl/ . 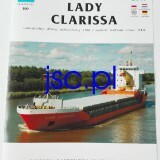 It is “Lady Clarissa” (JSC 300, scale 1:250). 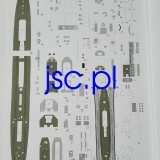 You can also get this model at 1:400 scale (JSC 411). 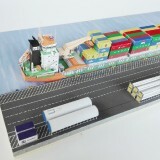 This is diorama - waterline model of multi-purpose vessel “Lady Clarissa”, mobile harbour crane, part of quay and cargoes (containers, wind power plant tower and propeller blades). 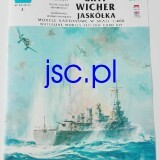 Also reprint of JSC’s models - “Gryf, Wicher, Jaskolka” (JSC 002, scale 1:400) is now available. The kit containing three ships has been out of stock for many, many years. You can optionally attach the door and ladders printed next to the parts of the model. Those models are easy to build. Anyone can manage to build them. 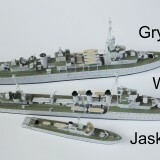 In our webstore you can see photos of ALL kits’ pages (excluding written instruction) and many photos of built models of Gryf, Wicher, Jaskolka and Lady Clarissa - to give you some idea of what is inside the kit. Additionally you can buy laser sets with some parts of the model.